This was the fourth field work trip to the Keys. Specific birding was restricted to a couple of hours before breakfast when I walked to the brackish lagoon on East Shore Drive then on to the small freshwater pool on Katherine Street, on Summerland Key. Everything else was just noted on the kayaking trips to the field sites in the mangroves around Summerland Key, Cudjoe Key and Lower Sugarloaf Key. 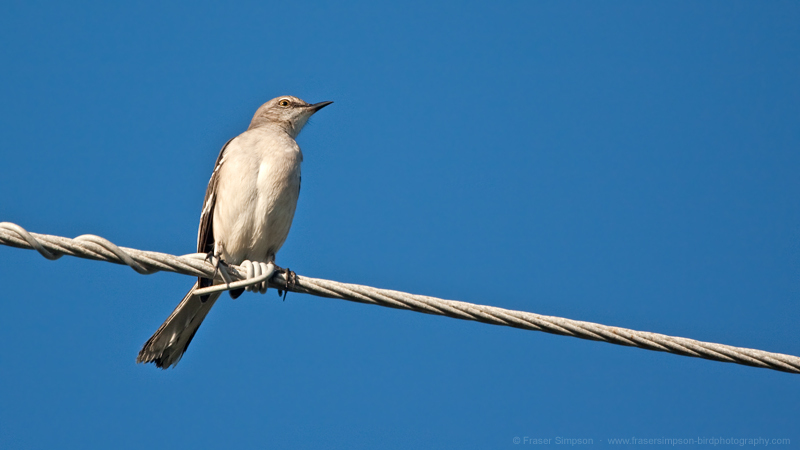 What follows is a list of casual observations and a birder with more time could discover more wintering species. While the temperature was generally between 22-27ºC, it did get down to 12ºC one day due to the 'Polar Vortex' that was gripping much of North America. Magnificent Frigatebird, Great White Heron, Reddish Egret, Tricolored Heron, Little Blue Heron, Yellow-crowned Night-Heron, Broad-winged Hawk, Short-tailed Hawk, Bald Eagle, Forster's Tern, Ruby-throated Hummingbird, Eastern Phoebe, Tree Swallow, Yellow-throated Warbler, Orange-crowned Warbler, Northern Parula. 1, Katherine Street pond, Summerland Key, 06/01. 1, Katherine Street pond, Summerland Key, 07/01. 1, Katherine Street pond, Summerland Key, 08/01. 1, Katherine Street pond, Summerland Key, 10/01. 1, Katherine Street pond, Summerland Key, 11/01. 2, flew over Overseas Highway/US-1, Summerland Key, 05/01. 6+, channel between US-1 and Park Drive South, Summerland Key, 05/01. 3, in bay off Mote Marine Lab, Summerland Key, 05/01. 1, flew over Overseas Highway/US-1, Summerland Key, 06/01. 7, between Cudjoe Key and Summerland Key, 06/01. 2, over East Shore Drive lagoon, Summerland Key, 07/01. 2, East Shore Drive lagoon, Summerland Key, 08/01. 8, between Cudjoe Key and Summerland Key, 08/01. 20+, around Gopher Key, 08/01. 4, East Shore Drive lagoon, Summerland Key, 10/01. 2, over Katherine Street pond, Summerland Key, 10/01. 20+, south-western side of Summerland Key, 10/01. 13, feeding on fish scraps in channel along West Shore Drive, Summerland Key, 10/01. 7, East Shore Drive lagoon, Summerland Key, 11/01. 15, west side of Sugarloaf Key, 11/01. 2, north east side of Lower Sugarloaf Key, 11/01. 99, counted from Keys Shuttle bus between Summerland Key and Key Largo, 12/01. 2, circling over Overseas Highway/US-1, Summerland Key, 05/01. 2, east side of Cudjoe Key, 06/01. 13, over Out Key, 09/01. 2, over Crab Key, 10/01. 5, over Summerland Key, 11/01. 1, over Katherine Street pond, 11/01. 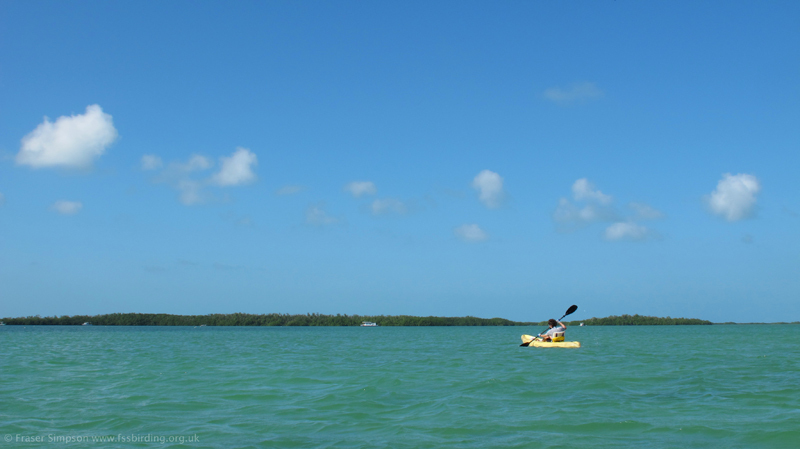 2, over Lower Sugarloaf Key, 11/01. 4, counted from Keys Shuttle bus between Summerland Key and Key Largo, 12/01. 1, in bay off Mote Marine Lab, Summerland Key, 05/01. 1, over East Shore Drive lagoon, Summerland Key, 07/01. 1, East Shore Drive lagoon, Summerland Key, 08/01. 23, between Cudjoe Key and Summerland Key, 08/01. 27, off Niles Road, Summerland Key, 10/01. 20+, around southern tip of Summerland Key, 10/01. 819, counted from Keys Shuttle bus between Summerland Key and Key Largo, 12/01. 12, Key Largo > South Dixie Highway > Miami Airport, 12/01. 1, on lake near Miami Airport, 12/01. 2, East Shore Drive lagoon, Summerland Key, 07/01. 1, East Shore Drive lagoon, Summerland Key, 10/01. 1, East Shore Drive lagoon, Summerland Key, 11/01. 1, observed from Keys Shuttle bus between Summerland Key and Key Largo, 12/01. 1, east side of Cudjoe Key, 06/01. 1, west side of Summerland Key, 08/01. 9, flying out at dusk to Venture/Out Keys, 09/01. 1, on south-west side of Summerland Key, 10/01. 3, southern tip of Summerland Key, 10/01. 1, Harris Gap Channel, 11/01. 1, over Mote Marine Lab, Summerland Key, 11/01. 8, counted from Keys Shuttle bus between Summerland Key and Key Largo, 12/01. 1, East Shore Drive lagoon, Summerland Key, 06/01. 1, mangroves on north-west side of Summerland Key, 06/01. 1, mangroves on east side of Summerland Key, 06/01. 3, East Shore Drive lagoon, Summerland Key, 07/01. 4, East Shore Drive lagoon, Summerland Key, 08/01. 2, East Shore Drive lagoon, Summerland Key, 10/01. 2, counted from Keys Shuttle bus between Summerland Key and Key Largo, 12/01. 3, Key Largo > South Dixie Highway > Miami Airport, 12/01. 10, East Shore Drive lagoon, Summerland Key, 06/01. 6, counted from Keys Shuttle bus between Summerland Key and Key Largo, 12/01. 5, East Shore Drive lagoon, Summerland Key, 06/01. 1, East Shore Drive lagoon, Summerland Key, 07/01. 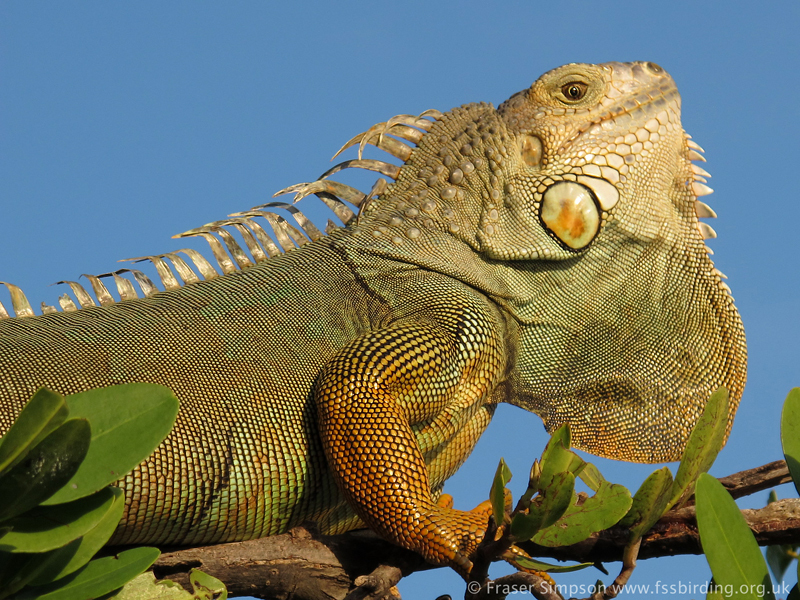 1, on south side of Cudjoe Key, 09/01. 4. East Shore Drive lagoon, Summerland Key, 10/01. 6, East Shore Drive lagoon, Summerland Key, 11/01. 1, mangroves on south side of Summerland Key, 07/01. 1, mangroves on west side of Summerland Key, 08/01. 3, mangroves in Cudjoe Bay/south side of Cudjoe Key, 08/01. 2, mangroves in Cudjoe Bay/south side of Cudjoe Key, 09/01. 5, Key Largo > South Dixie Highway > Miami Airport, 12/01. 7, channel between US-1 and Park Drive South, Summerland Key, 05/01. 4, mangroves on north-west side of Summerland Key, 06/01. 3, mangroves on east side of Cudjoe Key, 06/01. 6, south side of Cudjoe Key, 08/01. 1, in channel along La Fitte Drive, Cudjoe Key, 09/01. 1, along channel between Buccaneer Lane & John Silver Lane, Cudjoe Key, 09/01. 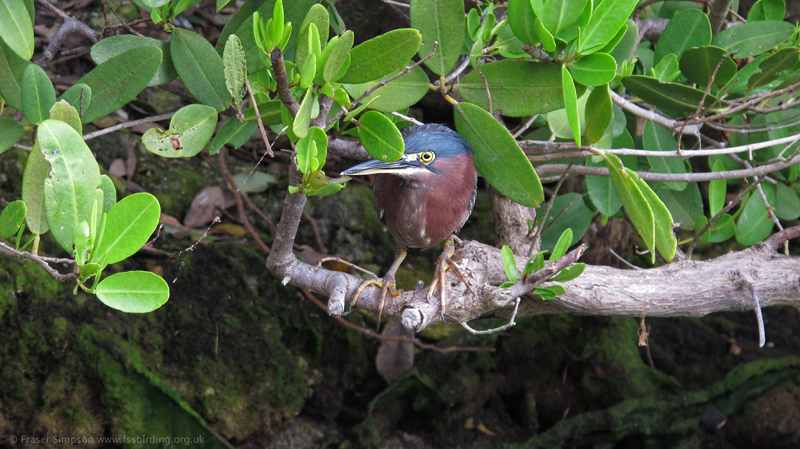 2, in mangroves at southern tip of Cudjoe Key, 09/01. 3, in channel along West Shore Drive, Summerland Key, 10/01. 1, at southern tip of Summerland Key, 10/01. 1, mangroves at southern point of Cudjoe Key, 08/01. 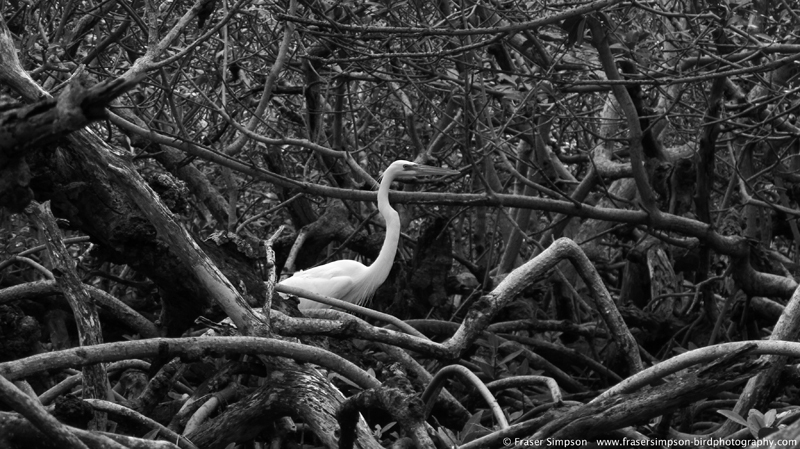 1, in mangroves at Lake Drive North, Summerland Key, 05/01. 3, mangroves on west side of Summerland Key, 06/01. 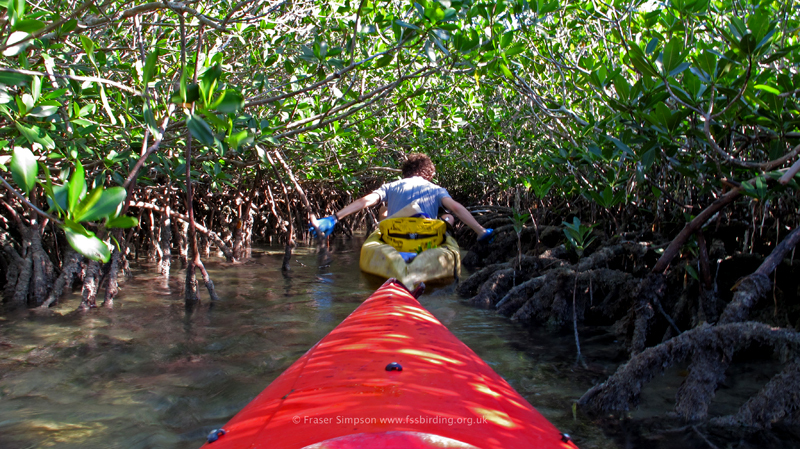 2, mangroves on east side of Cudjoe Key, 06/01. 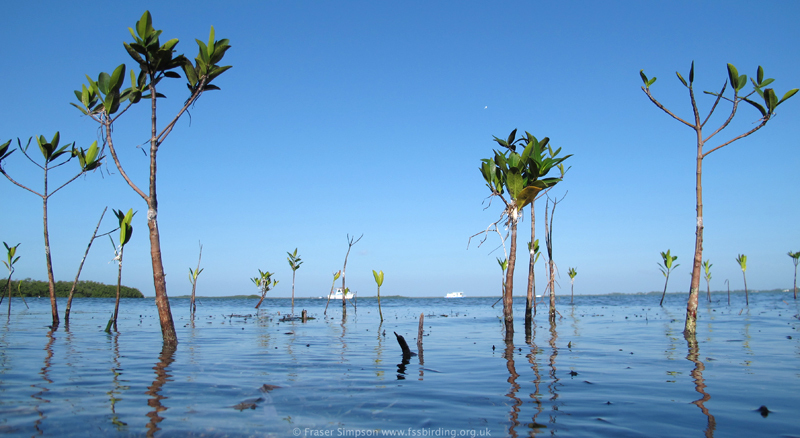 5, mangroves on south side of Cudjoe Key, 08/01. 2, east side of Cudjoe Key, 08/01. 6, bathing in roadside puddle, Overseas Highway/US-1, Summerland Key, 05/01. 11, channel between US-1 and Park Drive South, Summerland Key, 05/01. 6, garden along Overseas Highway/US-1, Summerland Key, 06/01. 1, East Shore Drie lagoon, Summerland Key, 06/01. 7, Margaret Street, Summerland Key, 06/01. 5, Katherine Street pond, Summerland Key, 06/01. 9, West Shore Drive, Summerland Key, 06/01. 24, over west side of Summerland Key, 06/01. 7, over east side of Cudjoe Key, 06/01. 10, Mote Marine Lab, Summerland Key, 06/01. 7, East Shore Drive lagoon, Summerland Key, 07/01. 6, Katherine Street pond, Summerland Key, 07/01. 7, over south end of Summerland Key, 07/01. 9, East Shore Drive lagoon, Summerland Key, 08/01. 8, over Cudjoe Bay, 08/01. 9, Overseas Highway/US-1, Summerland Key, 09/01. 8, Overseas Highway/US-1, Summerland Key, 10/01. 12, A Slice of Paradise Pizza, Summerland Key, 11/01. 3, Mobil garage, Summerland Key, 11/01. 2, East Shore Drive lagoon, Summerland Key, 11/01. 2, Katherine Street pond, Summerland Key, 11/01. 2, over north east side of Lower Sugarloaf Key, 11/01. 17, A Slice of Paradise Pizza, Summerland Key, 12/01. 10, Katherine Street pond, Summerland Key, 06/01. 14, Katherine Street pond, Summerland Key, 07/01. 6, Katherine Street pond, Summerland Key, 08/01. 10, Katherine Street pond, Summerland Key, 10/01. 9, Katherine Street pond, Summerland Key, 11/01. 1, channel between US-1 and Park Drive South, Summerland Key, 05/01. 12, soaring over east side of Cudjoe Key, 06/01. 5, East Shore Drive lagoon, Summerland Key, 07/01. 1, over East Shore Drive/Margaret Street, Summerland Key, 07/01. 1, over Katherine Street pond, Summerland Key, 07/01. 2, Overseas Highway/US-1, Summerland Key, 07/01. 4, over south end of Summerland Key, 07/01. 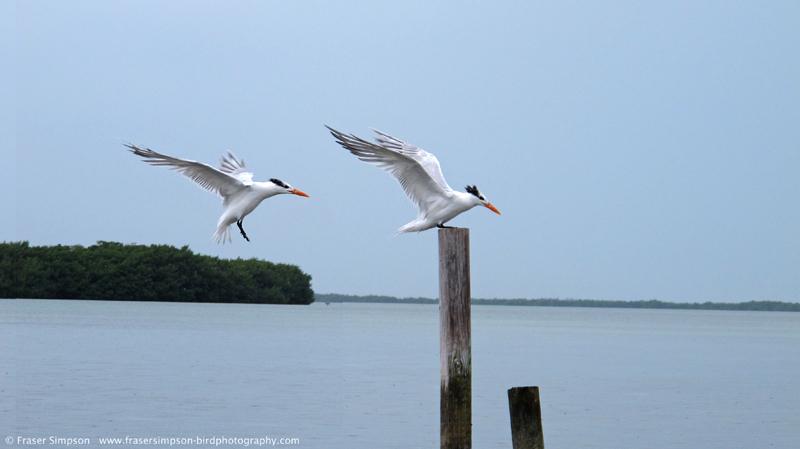 2, over east side of Cudjoe Key, 08/01. 1, over south side of Cudjoe Key, 08/01. 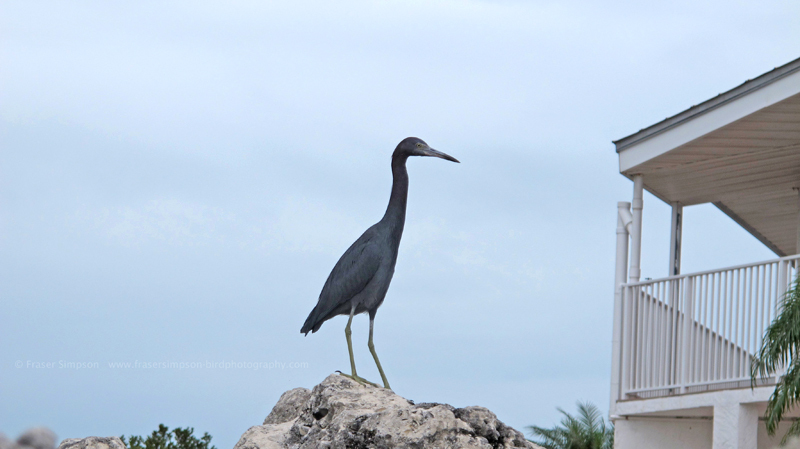 1, perched at Katherine Street pond, Summerland Key, 10/01. 1, north east side of Lower Sugarloaf Key, 11/01. 91, counted from Keys Shuttle bus between Summerland Key and Key Largo, 12/01. 248, Key Largo > South Dixie Highway > Miami Airport, 12/01. 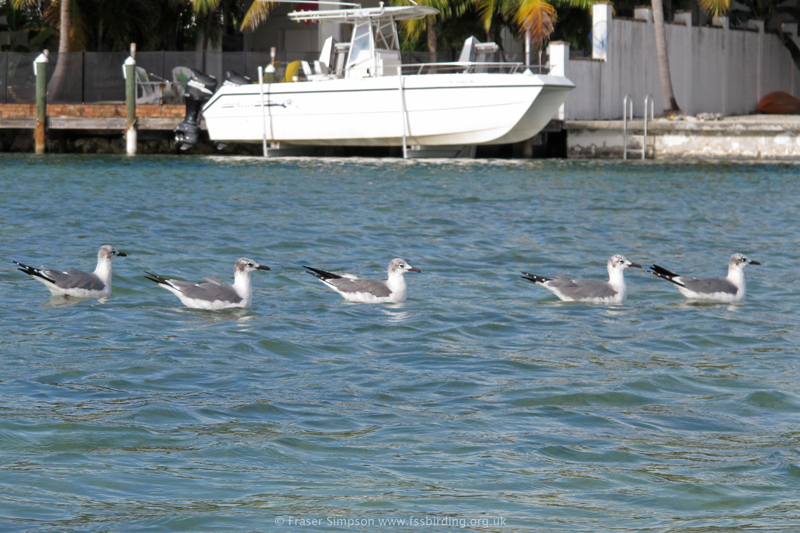 3, counted from Keys Shuttle bus between Summerland Key and Key Largo, 12/01. 1, Key Largo > South Dixie Highway > Miami Airport, 12/01. 1, Mote Marine Lab, Summerland Key, 06/01. 1, Spanish Main Drive, Cudjoe Key, 08/01. 1, from Keys Shuttle bus between Summerland Key and Key Largo, 12/01. 2, over Big Pine Key, 12/01. 1, adult over East Shore Drive lagoon, Summerland Key, 10/01. 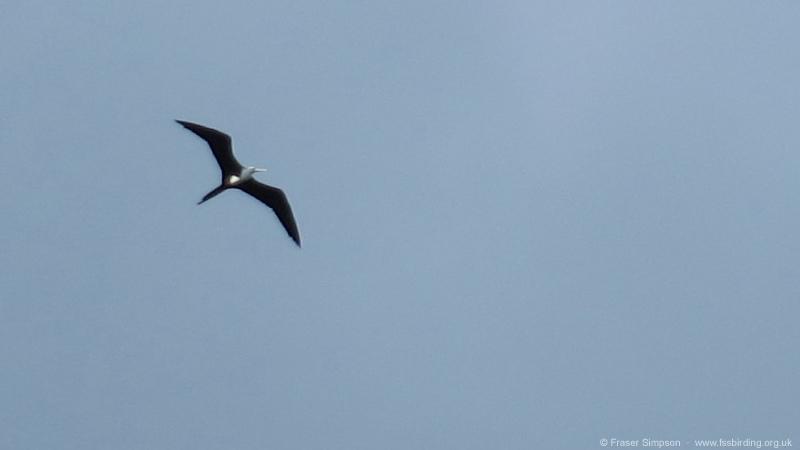 1, adult over Harris Gap Channel, Lower Sugarloaf Key, 11/01. 1, adult over Grassy Key, 12/01. 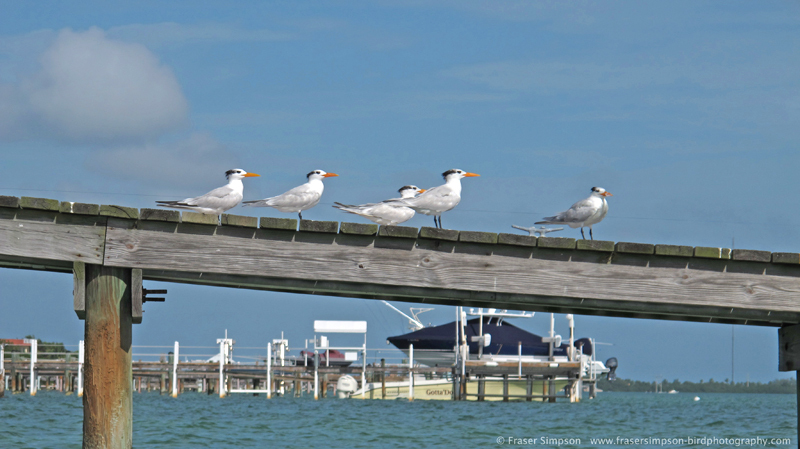 Four active nests observed on Summerland Key. 1-2, channel between US-1 and Park Drive South, Summerland Key, 05/01. 3 active nests, Summerland Key, 06/01. Pr, displaying over north-west side of Summerland Key, 06/01. 3 birds fishing in bay between Cudjoe Key and Summerland Key, 06/01. 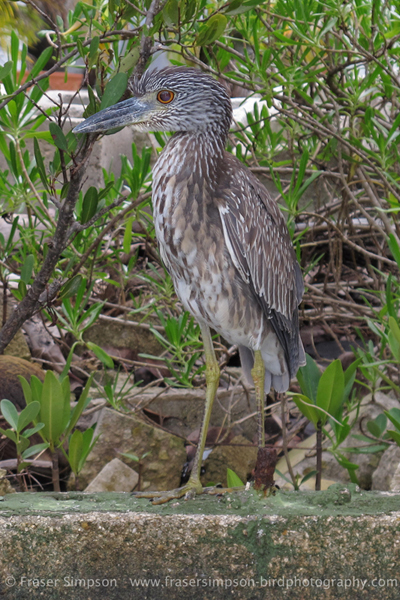 1, eating fish in mangroves, East Shore Drive lagoon, Summerland Key, 07/01. 1, brought in fish to incubating bird, East Shore Drive lagoon, Summerland Key, 08/01. 1, different bird overhead carrying fish, East Shore Drive lagoon, Summerland Key, 08/01. 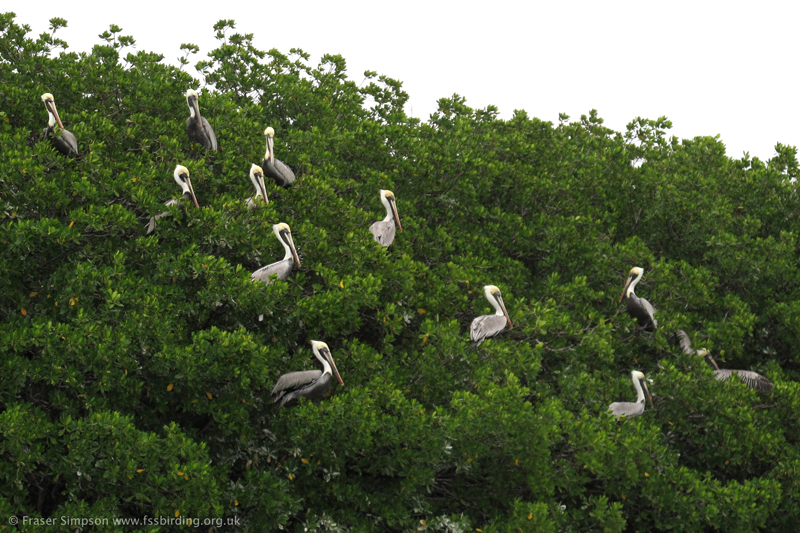 4, along south and east sides of Cudjoe Key, 08/01. 1, over Mote Marine Lab, Summerland Key, 09/01. Pr, nesting at southern tip of Cudjoe Key, 09/01. 1, over Crab Key, 10/01. Pr, displaying over north east side of Lower Sugarloaf Key, 11/01. 13, counted from Keys Shuttle bus between Summerland Key and Key Largo, 12/01. 9, Key Largo > South Dixie Highway > Miami Airport, 12/01. 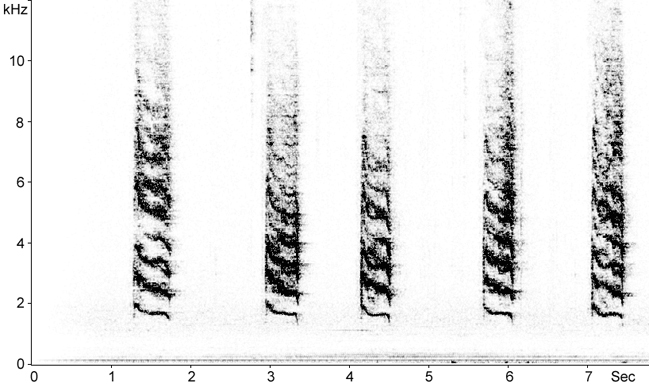 Calls from a female as the male returned to the nest with a fish. 2, Overseas Highway/US-1, Summerland Key, 06/01. 1, Margaret Street, Summerland Key, 06/01. 1, 45th Street, Summerland Key, 07/01. 1, West Shore Drive, Summerland Key, 07/01. 1, on south side of Summerland Key, 07/01. 1, east side of Cudjoe Key, 08/01. 2, south side of Cudjoe Key, 08/01. 1, Overseas Highway/US-1, Summerland Key, 10/01. 1, Overseas Highway/US-1, Summerland Key, 11/01. 1, East Shore Drive, Summerland Key, 11/01. 1, 46th Street, Summerland Key, 11/01. 10, counted from Keys Shuttle bus between Summerland Key and Key Largo, 12/01. 4, Key Largo > South Dixie Highway > Miami Airport, 12/01. 1, over south end of Summerland Key, 07/01. 1, Seven Mile Bridge, 12/01. 1, over Cudjoe Bay, 08/01. 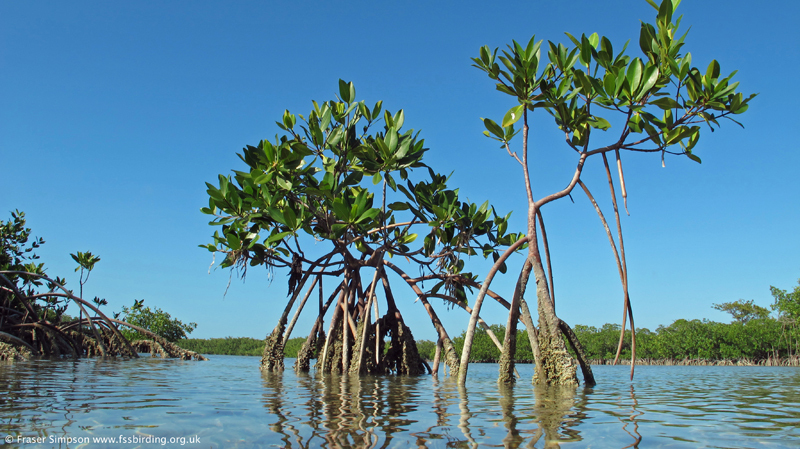 1, mangroves on east side of Cudjoe Key, 06/01. 3, mangroves on south side of Cudjoe Key, 08/01. 2, along channel along La Fitte Drive, Cudjoe Key, 09/01. 1, mangroves on west side of Summerland Key, 09/01. 7, East Shore Drive lagoon, Summerland Key, 08/01. Several, on mudflats around the Bahia Honda Key/Ohio Key/Grassy Key stretch of coastline, 12/01. 2, on pier at southern tip of Summerland Key, 10/01. 2, Seven Mile Bridge, 12/01. Many (seen from bus) on the mudflats around the Bahia Honda Key/Ohio Key/Grassy Key stretch of coastline, 12/01. Several, probably this species on mudflats around the Bahia Honda Key/Ohio Key/Grassy Key stretch of coastline, 12/01. 4, channel between US-1 and Park Drive South, Summerland Key, 05/01. 1, over Katherine Street pond, Summerland Key, 06/01. 4, Mote Marine Lab, Summerland Key, 06/01. c20, between Cudjoe Key and Summerland Key, 06/01. 12, over south end of Summerland Key, 07/01. 42, between Cudjoe Key and Summerland Key, 08/01. 50+, between Cudjoe Bay and west side of Summerland Key, 09/01. 8, off Niles Road, Summerland Key, 10/01. 30+, on south-west side of Summerland Key, 10/01. 4, north east side of Lower Sugarloaf Key, 11/01. 60, counted from Keys Shuttle bus between Summerland Key and Key Largo, 12/01. 2, channel between US-1 and Park Drive South, Summerland Key, 05/01. 6, between Cudjoe Key and Summerland Key, 06/01. 12, between Cudjoe Key and Summerland Key, 08/01. 20+, between Cudjoe Bay and west side of Summerland Key, 09/01. 4, along south-western side of Summerland Key, 10/01. 30+, being fed by a taxi driver, Miami Airport, 12/01. 4, between Cudjoe Bay and west side of Summerland Key, 09/01. 1, juv over East Shore Drive lagoon, Summerland Key, 11/01. 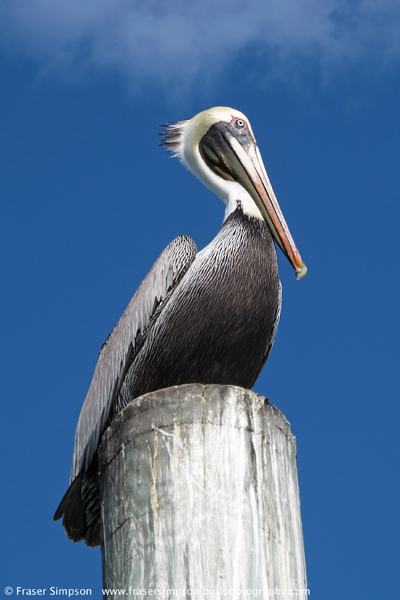 1, adult between Cudjoe Key and Summerland Key, 08/01. 1 W, off Mote Marine Lab, Summerland Key, 05/01. 15, between Cudjoe Key and Summerland Key, 06/01. 24, between Cudjoe Key and Summerland Key, 08/01. 20+, between Cudjoe Key and Summerland Key, 09/01. 6, along south-western side of Summerland Key, 10/01. 12+, around the southern tip of Summerland Key, 10/01. 2, over East Shore Drive lagoon, Summerland Key, 11/01. 6, 45th Street, Summerland Key, 06/01. 23, West Shore Drive, Summerland Key, 06/01. 7, south end of Summerland Key, 07/01. 9, West Shore Drive, Summerland Key, 10/01. 33, counted from Keys Shuttle bus between Summerland Key and Key Largo, 12/01. 10, channel between US-1 and Park Drive South, Summerland Key, 05/01. 14, Overseas Highway/US-1, Summerland Key, 06/01. 4, 45th Street, Summerland Key, 06/01. 3, Overseas Highway/US-1, Summerland Key, 07/01. 12, in flock huddling in 14ºC at south end of Summerland Key, 07/01. 5, West Shore Drive, Summerland Key, 10/01. 6, 46th Street, Summerland Key, 11/01. 47, counted from Keys Shuttle bus between Summerland Key and Key Largo, 12/01. 3, East Shore Drive, Summerland Key, 07/01. 5, over Katherine Street pond, Summerland Key, 07/01. 18, over East Shore Drive lagoon, Summerland Key, 08/01. 14, over East Shore Drive lagoon, Summerland Key, 10/01. 6, 44th Street, Summerland Key, 10/01. 30, over East Shore Drive lagoon, Summerland Key, 11/01. 51, counted from Keys Shuttle bus between Summerland Key and Key Largo, 12/01. 2, at large flowering bush in channel between Overseas Highway and Park Drive South, Summerland Key, 07/01. 1, along channel at Gulf Drive, Summerland Key, 10/01. 2, mangroves on north-west side of Summerland Key, 06/01. 2, Katherine Street pond, Summerland Key, 08/01. 2, west side of Summerland Key, 08/01. 5, Cudjoe Bay/mangroves on south side of Cudjoe Key, 08/01. 4, Cudjoe Bay/mangroves on south side of Cudjoe Key, 09/01. 2, mangroves at west end of Summerland Key, 09/01. 1, Mote Marine Lab, Summerland Key, 09/01. 1. Katherine Street pond, Summerland Key, 10/01. 1, Kemp Channel, Summerland Key, 11/01. 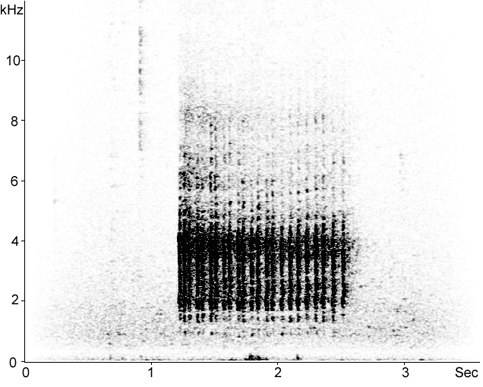 Sonogram of a single burst of calls. 1, drumming, 45th Street, Summerland Key, 06/01. 2, Katherine Street pond, Summerland Key, 10/01. 2, along channel at West Shore Drive, Summerland Key, 10/01. 1, counted from Keys Shuttle bus between Summerland Key and Key Largo, 12/01. 1, channel along La Fitte Drive, Cudjoe Key, 09/01. 1, 46th Street, Summerland Key, 08/01. 1, Katherine Street, Summerland Key, 10/01. 1, Margaret Street, Summerland Key, 11/01. 1, West Shore Drive, Summerland Key, 06/01. 2, singing Katherine Street, Summerland Key, 10/01. 2, Margaret Street, Summerland Key, 11/01. 1, Overseas Highway/US-1, Summerland Key, 05/01. 1, Overseas Highway/US-1, Summerland Key, 06/01. 2, West Shore Drive, Summerland Key, 06/01. 1, south side of Cudjoe Key, 08/01. 3, West Shore Drive, Summerland Key, 10/01. 1, Mobil garage, Summerland Key, 11/01. 5, counted from Keys Shuttle bus between Summerland Key and Key Largo, 12/01. 40, on telelgraph wires along Overseas Highway/US-1, Summerland Key, 05/01. 7, Overseas Highway/US-1, Summerland Key, 06/01. 29, Overseas Highway/US-1, Summerland Key, 07/01. 7, Overseas Highway/US-1, Summerland Key, 10/01. 23, flew over southern side of Summerland Key, 10/01. 17, Overseas Highway/US-1, Summerland Key, 11/01. 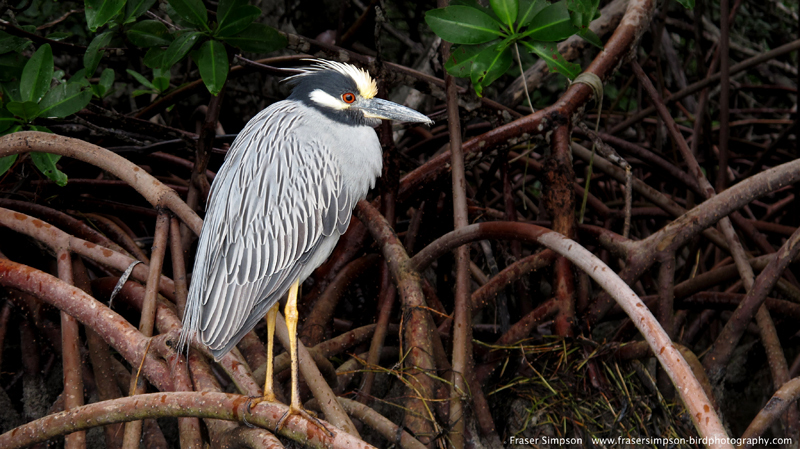 84, counted from Keys Shuttle bus between Summerland Key and Key Largo, 12/01. 105, Key Largo > South Dixie Highway > Miami Airport, 12/01. 8, Key Largo > South Dixie Highway > Miami Airport, 12/01. 1, south side of Cudjoe Key, 09/01. 2, heard along channel between US-1 and Park Drive South, Summerland Key, 05/01. 2, Katherine Street pond, Summerland Key, 06/01. 2, 45th Street, Summerland Key, 06/01. 1, Margaret Street, Summerland Key, 07/01. 1. Katherine Street pond, Summerland Key, 07/01. 1, 41st Street, Summerland Key, 07/01. 1, channel between Overseas Highway and Park Drive South, Summerland Key, 07/01. 2, 46th Street, Summerland Key, 08/01. 1, along channel along La Fitte Drive, Cudjoe Key, 09/01. 1, Margaret Street, Summerland Key, 10/01. 1, West Shore Drive, Summerland Key, 11/01. 2, Margaret Street, Summerland Key, 06/01. 1, along channel of Caribbean Drive East, Summerland Key, 10/01. 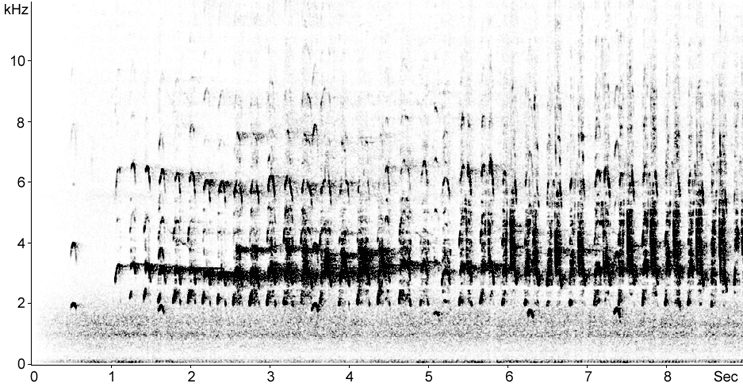 Sonogram of calls from a bird in thick scrub. 1, 40th Street, Summerland Key, 07/01. 10+, Mote Marine Lab, Summerland Key, 05/01. Several, channel between US-1 and Park Drive South, Summerland Key, 05/01. 3, Katherine Street pond, Summerland Key, 06/01. 10+, gardens along channel between Overseas Highway and Park Drive South, Summerland Key, 07/01. 4, Katherine Street pond, Summerland Key, 08/01. 4, 46th Street, Summerland Key, 08/01. 5, south side of Cudjoe Key, 08/01. 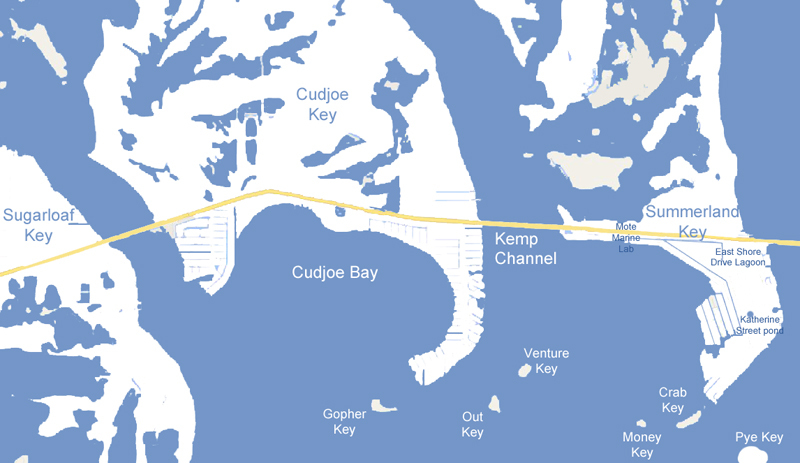 Several, around channels on southern side of Cudjoe Key, 09/01. 3, East Shore Drive lagoon, Summerland Key, 10/01. 2, Margaret Street, Summerland Key, 10/01. 1, West Shore Drive, Summerland Key, 10/01. 1, Katherine Street, Summerland Key, 11/01. 1, Katherine Street, Summerland Key, 08/01. 2, along channel on south side of Privateer Drive, Cudjoe Key, 09/01. 5, at birdtable on channel between US-1 and Park Drive South, Summerland Key, 05/01. 57, Mobil garage, Overseas Highway/US-1, Summerland Key, 06/01. 6, East Shore Drive lagoon, Summerland Key, 06/01. 18, West Shore Drive, Summerland Key, 06/01. 43, Mobil garage, Overseas Highway/US-1, Summerland Key, 07/01. 2, West Shore Drive, Summerland Key, 07/01. 3, East Shore Drive lagoon, Summerland Key, 08/01. 15, south side of Cudjoe Key, 08/01. 33, south side of Cudjoe Key, 09/01. 26, Mobil garage, Summerland Key, 10/01. 13, West Shore Drive, Summerland Key, 10/01. 44, Mobil garage, US-1, Summerland Key, 11/01. 52, counted from Keys Shuttle bus between Summerland Key and Key Largo, 12/01. 3, West Shore Drive, Summerland Key, 06/01. 2, near Miami Airport, 12/01. 7, Miami International Airport, 12/01.